Spacious Townhome with 2-bedrooms and 2-bathrooms and beautiful Red Rock views in Sedona, Arizona. Castlerock Vacation Rentals. 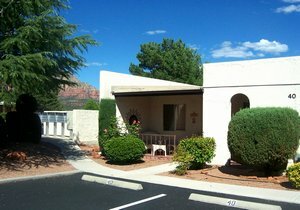 A very spacious townhome convenient to all Sedona attractions with beautiful RED ROCK views.